Provide comfort for the family of Warren Meggs Jr with a meaningful gesture of sympathy. 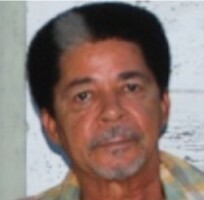 Warren Meggs Jr.” Cream” a native of St. James, la passed away peacefully at St. James Hospital on Tuesday, February 19, 2019, at the age of 75. He was the 2nd born child of the Late Warren Meggs Sr. and the Late Francis Plant Meggs. He was welcomed by his older sister and later he welcomed a host of sisters and brothers. As a young man he decided that the little town of St. James, la was not enough land for him to conquer, so he made the move to New Orleans, la and that’s where he made his mark. He worked as a construction worker and if many of us can remember, he worked as a maintenance technician at Pontchartrain Beach. He loved to cook those famous Red Beans and Rice, and Fried Chicken for his children and grandchildren when they came to visit. He was quick to offer a plate to anyone who dropped by. He also loved to have a good time especially when he danced, he would put that one hand in his pocket and boy watch him go. He was friendly and outgoing and known by all who lived on or strolled down Banks Street. Warren leaves his precious memories to his daughters, Angela (Teri) Meggs and Cynthia (Charles) Meggs-Lathers. Two grandchildren, Chelsie Johnson and Mason Meggs. Siblings, Neomia Meggs, Aldonia (Robert) Johnson, Almatine Zenon, Elwin Meggs, Judy (Wilton) Cambre, Micheal (Alberta) Meggs Sr., Donald Meggs, Dwight Meggs Sr. and a brother-in-Law Clinton Roberts Jr. A Host of Nieces, Nephews, Cousins and Friends. To send flowers in memory of Warren Meggs Jr, please visit our Heartfelt Sympathies Store.